We at First Stop Fencing supply a range of fencing materials and landscaping materials. 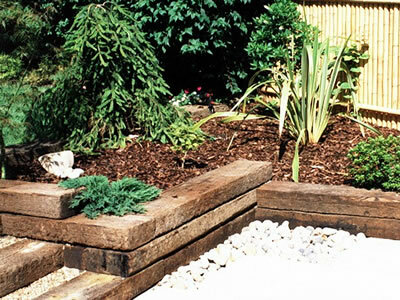 Below we have decorative sleepers, perfect for raised beds for flowers or vegetables. They are very heavy and can separate different levels of ground no problem.